Encore Fabrication Solutions is a UL 508A and UL 698 certified manufacturing facility that creates Industrial Automation and Control Solutions. 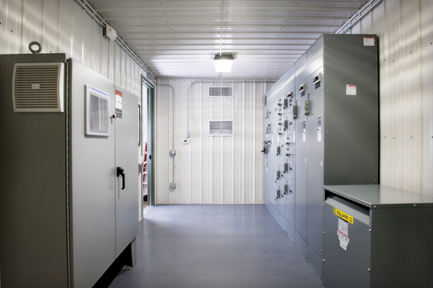 We utilize a flexible manufacturing platform and modular construction technique to build Portable Distribution Centers (PDC’s), Modular Substations and Portable Electric Buildings. 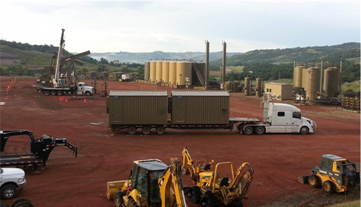 Our design-build and design-assist services provide solutions to our customers in markets that include Oil and Gas, Power Generation, Datacom, Utility, Building Automation, Manufacturing, Agriculture, and Food, Beverage and Chemical Processing. We are customer driven. Our focus on long term relationships and complete customer satisfaction has earned Encore a reputation in the industry that is second to none. All control panels are built under stringent quality control standards and are fully tested to assure they meet the performance needs of our customers. We have the ability to fabricate panels of any size, for any application. We can retrofit existing control panels to maximize efficiency and reliability.